Ten years ago, the eccentric Nokia 9300i and its predecessor the Nokia 9300 became something of a surprise hit in the consumer market. At first glance, the 9300i was an ugly looking handset which was about the same size as the popular Nokia 6310i.. but there was literally more to the 9300i than met the eye. 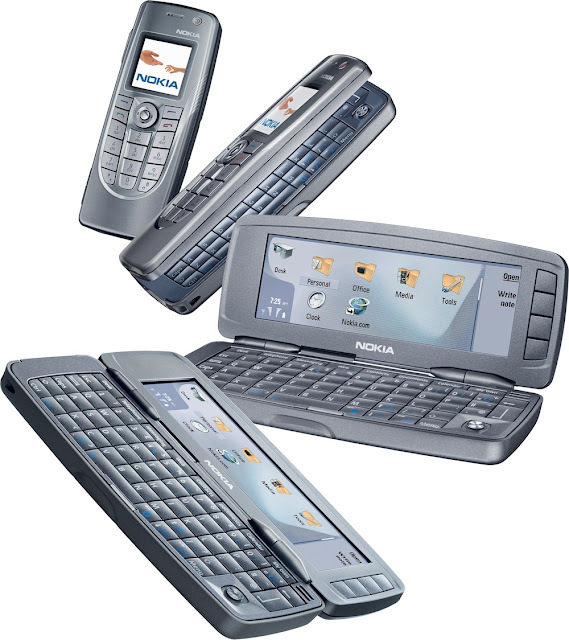 The Nokia 9300i opened up to reveal a large QWERTY keyboard and a 4 inch 640 x 200 pixel display on the inside. Built-in was a web browser and email client, but you could also do wordprocessing and even spreadsheet work with it. And because this ran a version of Symbian, you could add other application to it. The 9300i was an upgrade to the previous year’s 9300 – and that upgrade was basically the addition of WiFi support to the 2G-only device. Peculiarly, Nokia chose not to add 3G to the 9300 or even its bigger sibling, the Nokia 9500 Communicator – a decision that was possibly more about Nokia’s internal politics than being anything technical. As with the BlackBerry 8700 launched at the same time, the Nokia 9300i was a business handset that crossed over into the consumer market. As a result it had a few idiosyncrasies, one of which was that it didn’t have a camera. One other key drawback was that although this was a Symbian handset, it ran the Series 80 software platform rather than the more common Series 60, meaning that there was less software available for it than for other Nokia smartphones of the time. Series 80 was discontinued after the 9300i was launched, making this arguably the last true “Communicator” device from Nokia. It was eventually followed by the Series 60-based Nokia E90, which didn’t really have the same capabilities. The 9300i is still quite a usable device today, although the built-in Opera web browser will struggle with a lot of modern websites. If you want to add one of these to your collection, budget to spend around €50 or so.